The Student Union FIlm's Series provides showings of popular films on Fridays throughout the semester. 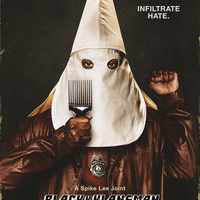 This Friday, Student Union and the Intercultural Center will be showing Blackkklansman to kick off Black History Month! Come out and enjoy free popcorn and a great film in Pugh!